Currently, this mod is being renewed to version 3.X.X. Please note the following points, as the contents are different from the 2.X.X system. - The type of ore generation in the world are changed. 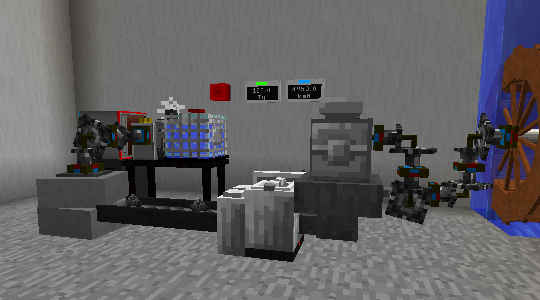 - The ore processing recipe is renewed. - The magic item is renewed. Also, magic accessories are shared with players and mobs. This mod requires Heat And Climate Lib. 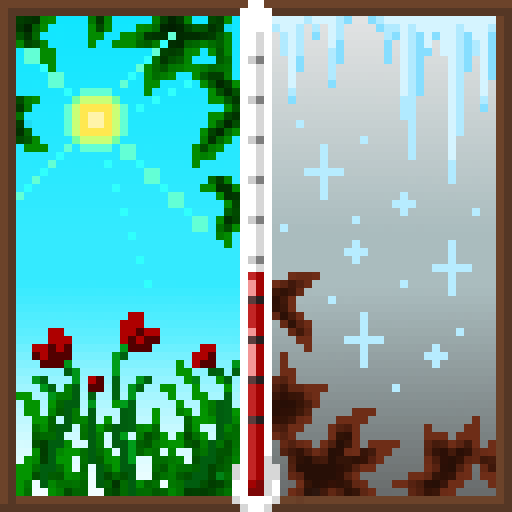 This mod add various elements using heat and climate. Various Minerals and New Metals using it. Some elements were made as a successor to AMT2. Tips: Each element can be turned off comprehensively as a module. (Then, that will be removed from the recipe and creative tabs.) Please see module.cfg. About Licenses: Please see this page. * You can include this mod in your mod pack. About compatibility with other mods: Please see this page. For more information, please see my wiki. I love your mod, thank you so much for making it and giving it regular updates. The only thing is I can't figure out how the Induction Motor Block works. Hello! 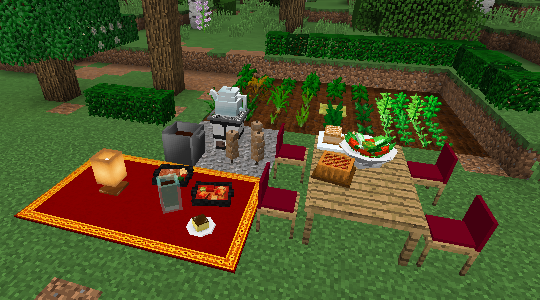 First of all I love your mod,especially the cooking asprct of it is so realistic! I recently found out about the flower pots and I was really happy it seems to accept most plants and flowers! However I've been having an issue where if I leave the chunk,via walking,flying, teleporting or leaving the world some of the plants randomly disappear. This happens with both vanilla,modded and HaC plants,flowers and saplings and it's not always the same ones that disappear,mainly it seems to do it with the olive,walnut saplings from HaC and dandelion and rose from vanilla. I hope this could be resolved as I really love the flower pots! Hi, your mod are amazing! !,but recently I found that Heat And Climate work with Industrial Craft 2 would have a little trouble. when Heat And Climate actived ,the Scanner of Industrial Craft 2 would work well.It can put nothing inside ,like Heat And Climate have something block item into Scanner.when i disable Heat And Climate the Scanner can pull something in again, I truly like Heat And Climate and IC2, I hope Heat And Climate can work together with IC2.I wondering is that I setting wrong,but all the thing is default.My mc is 1.12.2,Forge 2811,industrialcraft-2-2.8.111-ex112 , HeatAndClimateLib_1.12.2-2.7.6. It may be improved by changing the configuration. Try setting "Disable Recipe Customize" in core.cfg to false. HaC has an experimental feature to automatically generate a craft recipe, which may be interfering with IC2's own recipe (IC2Recipe). Disable Recipe Customize option is false in default,I try setting to true and ic2Scanner still cant pull in anything. Induction motor in HaC look like unable to connect with ic2's cable ,seems did not accept eu power. I'll investigate it about recipe and scanner. Induction motors do not support the EU. There are no plans to support it in the future. It performs energy conversion with RF. I do not guarantee the correct operation of mod not specified in ReadMe_Plugin.txt. Hi, this is a great mod, lots of effort behind it, although it seems to try to do a bit of everything, it does most of it good. One question though, do you have any plan to match the 16x16 textures of vanilla minecraft via an alternative resource pack or something of the sort? Good job! I'm not planning to create texture packs for alternative resources. Because it's a huge amount of work, it will cause my holiday to disappear over several months, and 1.13 development work will be delayed considerably. # Set the number of days of season's length. And in serene season it divided 1 season into 3 sub-seasons(early,mid,late) and 1 sub-season last for 7 days in default.Change it to 20 so it will match the season cycle of HaC mod. and HaC mod you can check the command by using /climate help in your game. Wait, if we set one sub-season to 20 days, wouldn't that mean that one single full season would last 60 days instead of the four in total? Yes , but I am not pretty sure of "the four in total" in your reply means. and from my experience , I started a modded server few months ago with this mod and Serene Season installed , but I didn't found this problem at the very first. I tried to fix the problem midway by adjusting the season frequency between 2 mods , but it did not working. The 2 mods did not sync together well. Another solution is to reset the server time(make it back to day 1)and set the season frequency again and then reboot the server,but I took another more simple solution : remove Serene season. and I must notice you , all the messages above all came from author's wiki and texts in the configurable file . You had better check them from time to time to ensure everything works as before. so 84 is the amount of days in serene seasons needed for a full cycle. To summarize, if you want to sync Serene Seasons cycle with Hac you must replace 7 days with 5: 5 * 3(sub-seasons) = 15 ----> 15 * 4(full seasons)= 60 ----> synced cycle. The setting you want should be solved by changing the length of one year using config. this number modified the length of 1 season but not 1 year. I tried in my server about a week ago and I think it is still correct now.I set the number to 90 and a whole year took me 360 days.Hope this information helps you. btw,serene season is not installed so I bet you have to try it yourself. I had a misuderstanding about my setting. I am sorry. Well, I think the current specification (60 = the length of each season) is better than 60 days as a year. I'll leave the current specification as it is. I looked for a description on the code about the seasonal length of Serene Seasons, but I could not find it well. It is a fact that there is not enough time for the test play. I'm sorry. I consume a lot of my time for mod maintenance and requests. After publishing mod to Curse, enough playing timefor the test (of course also play time for my enjoyment) has not been obtained. bro you don't need to feel sorry anyway , developers are god to us. and about SereneSeason mod , since I only know little java , all I can do is to telling you where can you find the setting of season length. hope these information can help you. I guess, it seems that users requesting 'reality' are not good at checking the previous reply or checking the contents already written on the wiki or readme. I will not adopt those requests. I think that they should make it themselves. Mr.Crayfish Vehicle mods------fuelium from this mods must be usable for your vehicle. and its machine can produced fuels from your mod. just saying. You should understand that "temperature rise and temperature are different concepts". "Naturally" they are not compatible. Please change the length of the season in config (core.cfg). It is possible to match "length of vanilla server's day". Otherwise, I will not support other people's unique implementation. This mod is already made considering pam harvest about the heal amount balance or the ore dictionary name. Of course, they do not match perfectly. If you ask for this mod a complete dependence on the balance of another mod, it is the enemy of this project.